Prevents scorch, burn, ans shine. 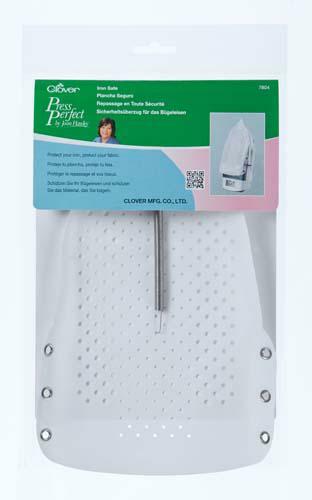 nonstick surface protects fabrics, adhesives wipe off. One size fits most household irons. Works with all temperature settings, dry or steam. Eliminates need for pressing a cloth.